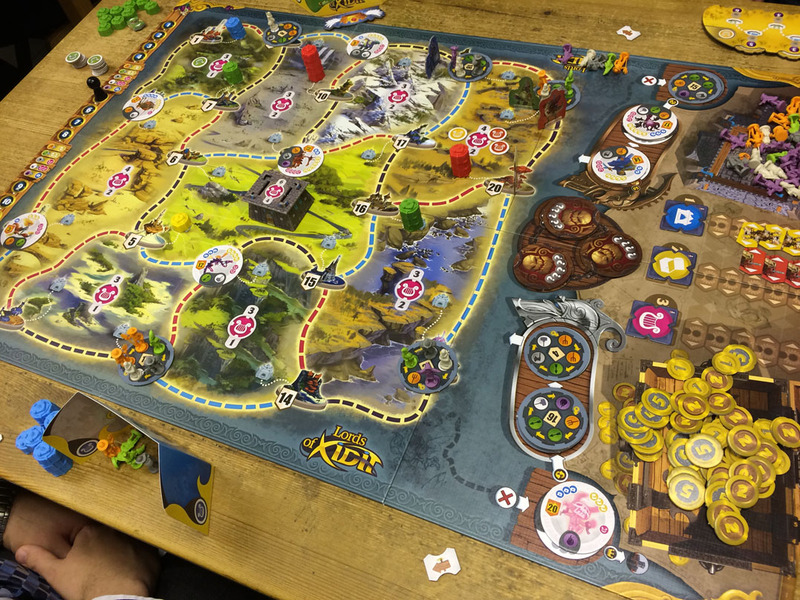 Lords of Xidit is an interesting-looking, medium-weight eurogame. 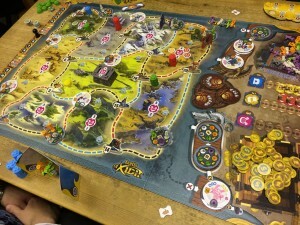 Players move their character around the land from city to city, recruiting units and defeating threats. At the start of each round, each player programs 6 actions that their character will perform in sequence. There are 5 actions to choose from: move along either the red, white, or blue road from their current city, interact with the city, or wait. Players will need to work out which actions they want to perform and where but, as with other action-programming games, they will need to work out what your opponents will be trying to do too.